The International Utility Conference is hosted annually in the UK by the Edison Electric Institute (EEI), attracting members from all over of the world. Why did you choose the IWM London for an event? 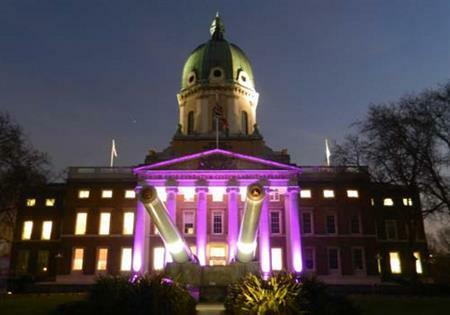 Celia Scholtz, Operations Manager of The Cavendish Group, says: "As the delegates were from all over the world and of varying ages the IWM London was an ideal venue with historical and current interest. The many displays are a great talking point and guests can wander through the museum while enjoying drinks and canapés. The building itself is also very impressive; it has a real wow effect with the lighting as guests pull up. "Also the location proved ideal as the client requested a venue no more than 30 minutes drive away from the London Hilton on Park Lane, the IWM is only 20 minutes away." Scholtz explains: "The first challenge was finding the right venue. The EEI requested a venue that would draw guests in and have a lasting impression. The client also wanted something new; preferably a venue their guests hadn’t been to before as guests or tourists visiting London. "The second challenge was once we had decided on IWM London; the client informed us that they wanted the reception to start at 6.30pm. This left a short turnaround time of 30 minutes for the caterers and other suppliers to set up. As not much production was involved and we worked with great suppliers, who regularly host events at the venue, the teams came together and had the venue set-up for the arrival of the first guest." What would you do differently if you were to organise the event again? Scholtz said: "I would try to convince the client to start the event at 7.00pm; as the venue is working museum and open to the public during the day. The venue closes at 6.00pm and the events staff need to wait for the last visitor to leave before they can start setting up, it really leaves no time for mistakes or hitches. Luckily we didn’t have any with this event, but had something gone wrong it could have meant keeping the guests waiting."